This music is good for any kind of presentations, commercials, websites, inspirational videos, motivational stories, photo slideshows and other projects that need a positive mood. 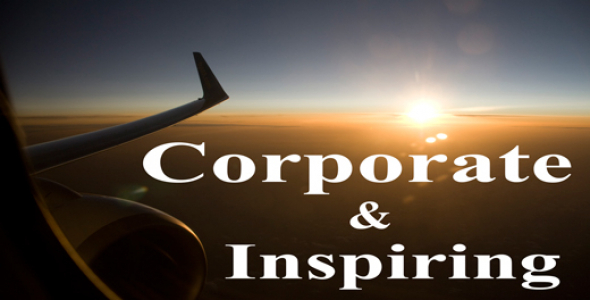 Corporate Motion is inspiring and positive track. It`s good for any kind of presentations, commercials, websites, inspirational videos, motivational stories, photo slideshows and other projects that need a positive mood. This corporate track is inspiring and positive. It`s good for any kind of presentations, commercials,websites, inspirational videos, motivational stories, video about wonderful travelling and photo slideshows. Corporate Dreams is inspiring and positive track. It`s good for any kind of presentations, commercials, websites, inspirational videos, motivational stories, photo slideshows and other projects that need a positive mood. This track is corporate, positive and romantic. It`s good for any kind of presentations, commercials,websites, inspirational videos, motivational stories, video about wonderful travelling, photo slideshows and other projects that need a positive mood. This track is corporate, positive and warm. It`s good for any kind of presentations, commercials,websites, inspirational videos, motivational stories, video about wonderful travelling, photo slideshows and other projects that need a positive mood. Buy Now for $32 Have a Discount Coupon?